The Visser cutting machine features six sticking fingers. As with any business, you should always be looking for the next “big” thing. Apple and Samsung are always working on the next great smartphone, and, in turn, customers continue to desire and purchase that new version. 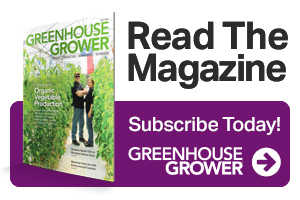 So what is the next big thing to drive the greenhouse business? 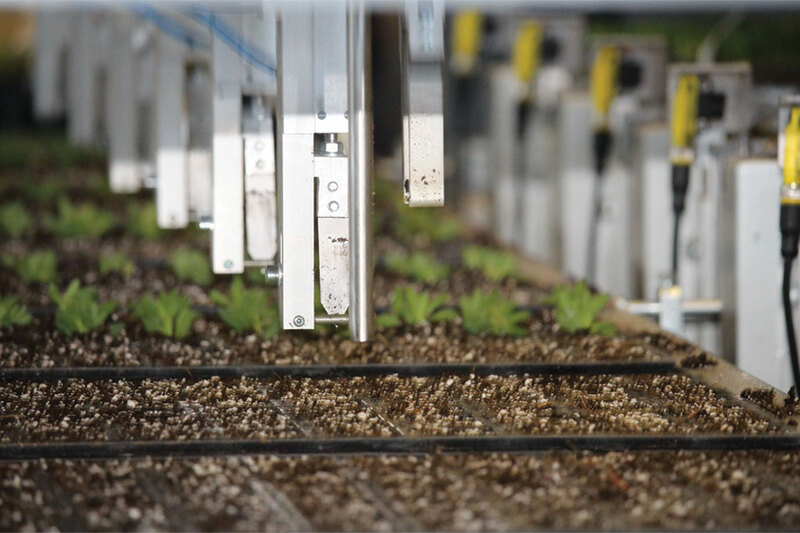 At Metrolina Greenhouses, we are always looking for the next great automated technology that will make our work processes more efficient and take less man hours than they do today. 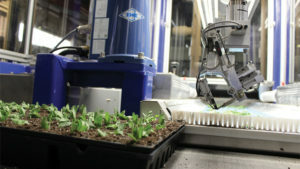 We have spent the past 18 months looking for machines that will transplant cuttings. Currently, we are using two different systems side by side (from Visser and ISO) to see which one works best for each cutting. Our thought is that we will continue to run both machines in order to find the best solution and quality for sticking cuttings. Metrolina is comparing sticking machines from ISO (shown here) and Visser to see which one works best for their operation. The great part about this automation is that we are averaging more than 2,000 cuttings per hour per sticking apparatus. Our average manual stick rate is closer to 800 to 900 cuttings per hour, making the automation a vast improvement. Our hope is that we will be able to stick 80% of our cuttings with some form of automation by the spring of 2018. This will free up our employees to do other jobs that we need to get accomplished on a daily basis. As everyone has been experiencing over the last 12 to 24 months, good, dependable labor is becoming a bigger issue and especially with seasonal labor. We have to figure out ways to take as much work out of the system to make the jobs more automated and, therefore, use labor more efficiently. This has happened in every industry, and will continue to sweep our industry, as well. The question for you is, are you ready and willing to accept and invest in the next generation of automation, and make automation great again? Art Van Wingerden is co-owner of Metrolina Greenhouses, which operates more than 7,000,000 square feet of environmentally controlled production space at its facilities in Huntersville, NC, and York, SC. Learn more about the operation at MetrolinaGreenhouses.com. See all author stories here.